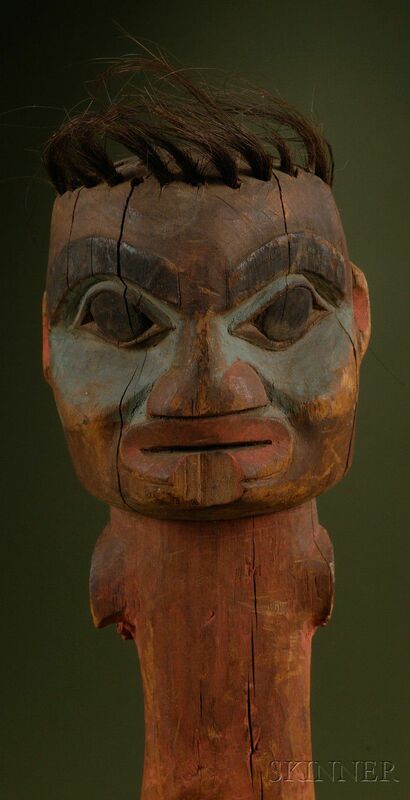 Northwest Coast Painted Wood Carving, Tlingit (? 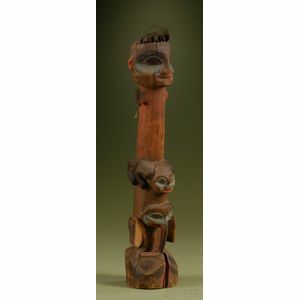 ), c. 19th century, a totem pole style form, the base a stylized animal head, the avian figure above with its beak extended to base, above the bird is a frog above that a human torso, the stylized head with hair tufts, painted with black, blue-green, and red pigments, (arms missing, wood loss), ht. 16 in.